An inquisitive Hawaiian Monk Seal cruises shallow waters of the Pearl and Hermes Reef in north west Hawaii. 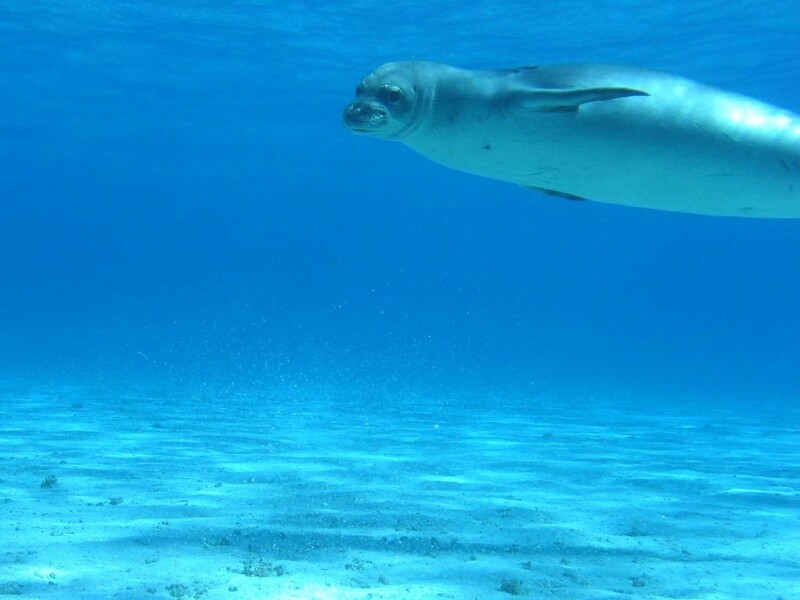 Increasingly rare and endangered, Monk seals (Monachus schauinslandi) are Hawaii’s only member of the pinniped family and are endemic to Hawaii. It is thought that there are currently around 1100 Hawaiian monk seals left. At this point they are considered to be dependent on conservation efforts for their survival. Monk seals are naturally curious and playful, spending much of their day resting on the beach and cruising shallows for fish. Not being only shallow water dwellers though, they have been documented diving as deep as 1800 feet scavenging for food. For more information, Wikipedia has a good entry on monk seals.